Gas Tap suitable for an Angelo Po models: 2A1FASG & 291TPCG-CPMO. This tap has the following specifications: Shaft Length: 28mm, thermcouple connection: M8x1, with pilot flame, D-shaped pin 10x9mm, gas input: 21 gas outlet: M20x1,5, Pipe outlet diameter 12/10mm, shaft length knob: 13mm, bypass nozzle diameter 0.35mm. Type: PEL22S/V, producer: PEL. 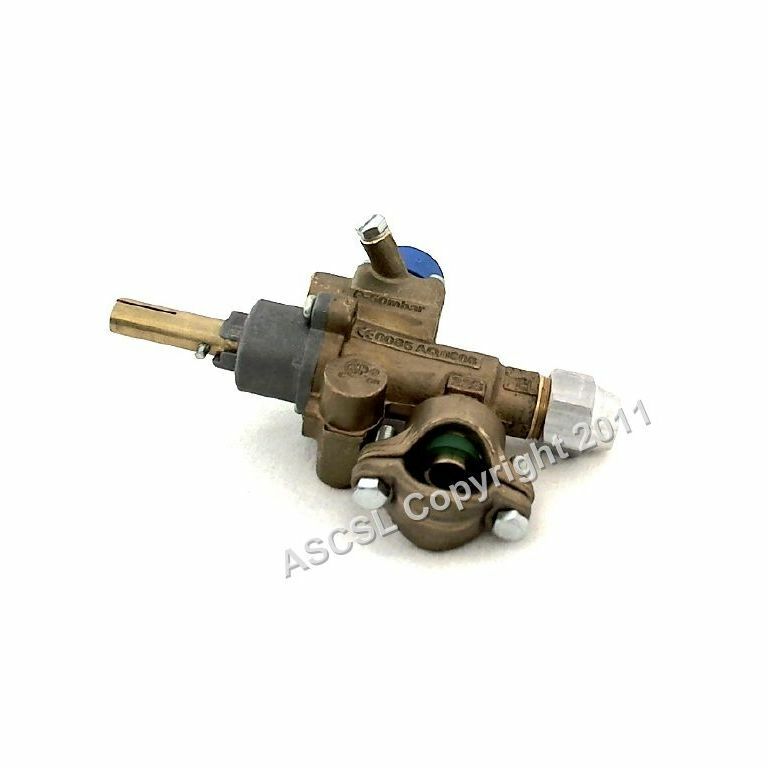 This item has been superseded by Gas Control Tap - Angelo Po 2A1FASG Gas Range .